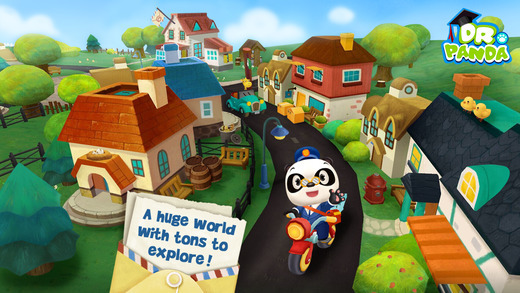 FREE for a limited time – Dr. Panda Mailman, another great app for preschoolers from Dr. Panda Ltd. Kids become mail carriers and deliver mail in a fun-filled interactive world. There are four areas for kids to explore – the mountains, a village, a forests, and fields. First they create their own postcards or wrap their own packages. Then it’s time to deliver their creations. The recipients are different animals, each with his or her own unique personality. As they ride down the road delivering the mail, kids are free go off the beaten path and explore.This app is great for developing vocabulary and creating stories. It’s a big fun world with no rules, points, timers, etc. – just open-ended exploration.